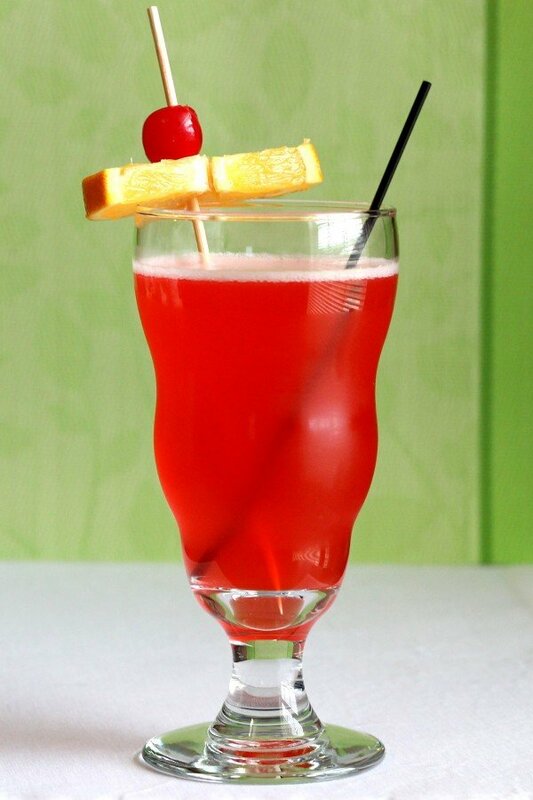 The Singapore Sling looks like a glass of Koolaid, and it tastes fruity, so the alcohol effects can sneak up on unsuspecting drinkers. The original recipe was created in the Raffles Hotel in Singapore in the early 1900s, then forgotten for a while, then re-created from the memories of bartenders. Then it got completely revamped, probably in the ’70s. The original recipe was much simpler than the modern version, and most drinkers agree the modern version is better. And then there are several variations on the modern version, so I’m going with a recipe that’s a little bit dryer (my preference), but then I’ll tell you how to make it sweeter if that’s your preference. Shake everything but your garnish with ice, then strain into a highball glass (or a novelty glass – this is definitely the type of drink where that’s fun). Garnish with the pineapple and cherry on a toothpick. 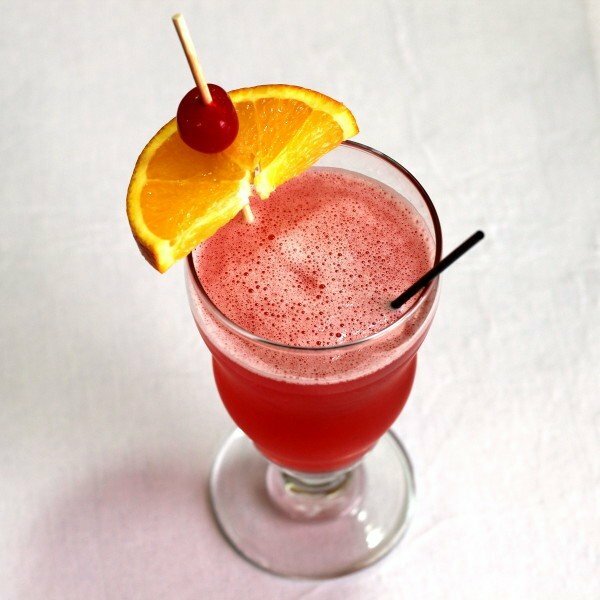 To make the drink more sweet, use 1 ounce of gin and 4 ounces of pineapple juice.